...... Andrew Zolnai Blog: Massive online activity - all is not as it appears - Cont. 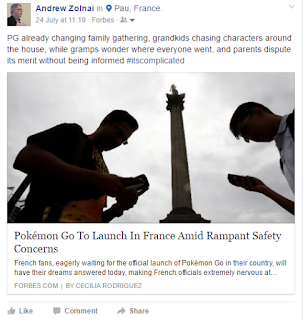 Massive online activity - all is not as it appears - Cont. 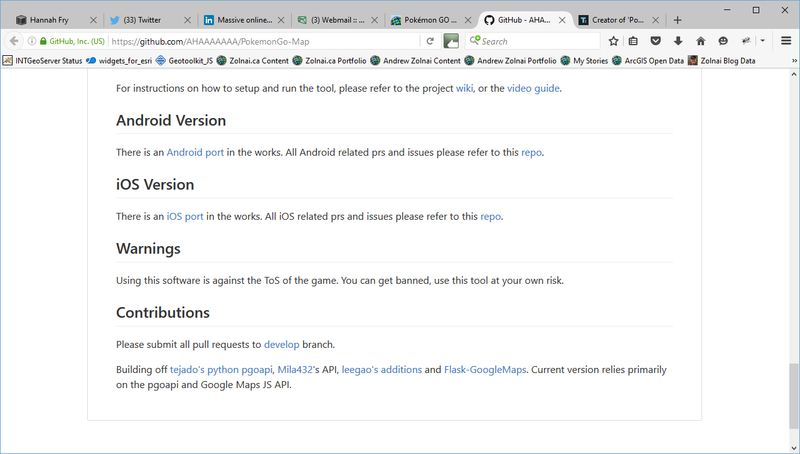 Geonet in fact alerted us to the PokéVision app to track the prize areas, then tools on Github with a caveat that proved prophetic, and its (and others') eventual demise, all links here. 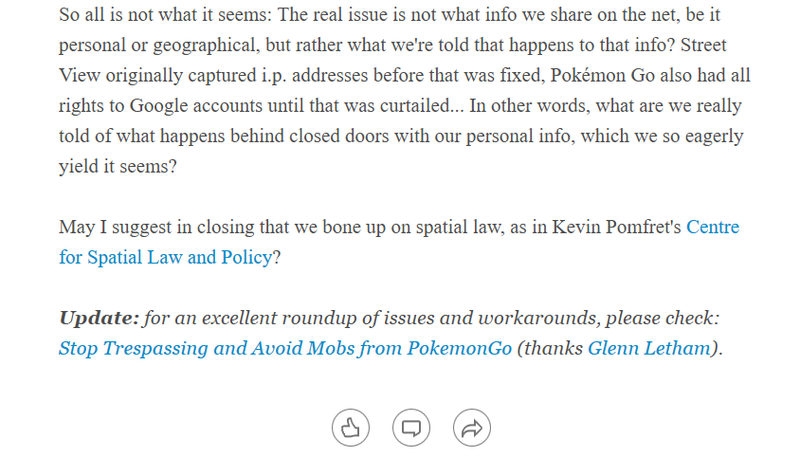 When I mused that Pokémon Go was not open, I had no inside knowledge, just a sense that gaming is very focused and not necessarily concerned with spatial (or ethical) issues it raises - BBC Click is an excellent ongoing source for this industry I'm no expert in. 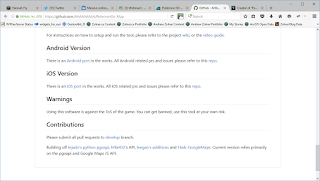 What does this have to do with spatial, you might ask? 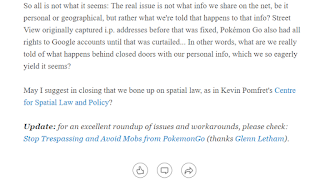 Spatial adds a dimension to social & legal issues we're just starting to grasp, and it behooves us in the geospatial industry to inform everyone of it.